During the autumn term 2018, Blue Coat laid on a number of special Remembrance events as part of the worldwide commemoration of the end of World War I on 11 November 1918. 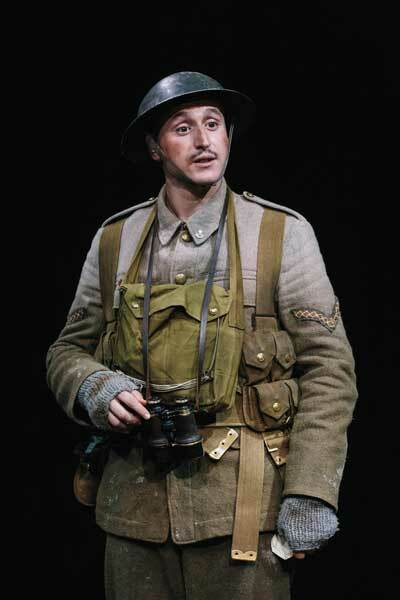 In early October, our Junior students saw a production, by Theatre Centre, of “The Muddy Choir”, a thought-provoking, darkly funny and moving play, set in November 1917, which shed light on life in the trenches of Ypres, through story and song. 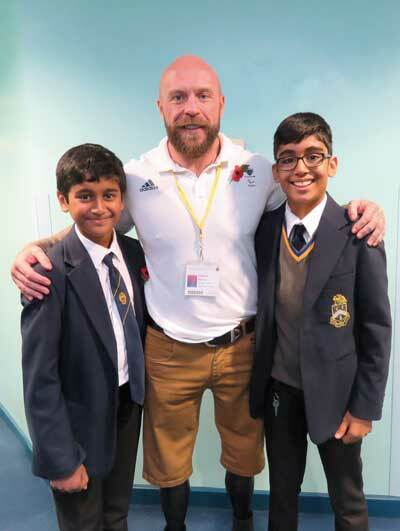 At Whole School Assembly on the Monday of Remembrance Week, Paralympian powerlifter Micky Yule spoke to the students and staff about his time in the military; about how stepping on an IED led to the loss of both of his legs – and of his career as a soldier; his physical – and mental – recovery; and how he became involved with the Invictus Games. But mostly, he wanted to speak to the assembled group about the importance of Remembrance: “It doesn’t matter how you remember them, but remember them in some way”. Micky encouraged the school community to buy poppies, as the sales go to help veterans and their families and friends. Micky’s positive attitude and his ability to move past some of the greatest challenges anybody can face, was truly inspiring to all. 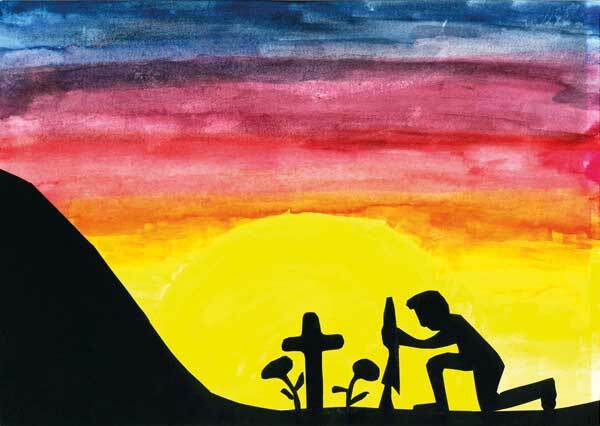 Shortly before the half-term break, Mr Thomas invited the student body to take part in a whole school Remembrance art competition. The picture on the cover of this magazine was one of the competition winners – a drypoint etching by Year 13 Kitty , with a quote from ‘The Wasteland’ by TS Eliot. The other winners were Josef in Year 7, Ben A in Year 9, Ben P in Year 10, and Nathan in Year 13. Mr Thomas organised a special showing after school on the Wednesday of that week of “They Shall Not Grow Old”, director Peter Jackson’s hand-coloured documentary of never-before-seen footage of soldiers in World War I. The next morning, at Spiritual Assembly, two staff members – Assistant Bursar Mrs West, and CCF Contingent Commander, Lt Col Selvester – spoke to the school, and their speeches considered the school theme of parity within the context of Remembrance. Lt Col Selvester investigated the lives of three conscientious objectors and asked: “were they cowards and shirkers or were they, in their own way, courageous for refusing to join the fight.” There are two types of conscientious objectors: Absolutists, who refuse to do anything to help the war effort, and Alternativists, who are prepared to do ‘non-combatant’ work. Lt Col Selvester spoke about three conscientious objectors – brothers Cedric and Ralph Vipont-Brown, and Bert Brocklesbury – how they were involved in war, and how the courage to stand by their convictions, and to stand as individuals against the crowd. On Friday 9th November, the Sixth Form were fortunate to hear war photographer Rick Findler talk about his work in recent hot spots such as Syria and Iraq. The students were on the edge of their seats as Rick spoke about his close encounters with some extremely difficult situations. An excellent question in the Q&A afterwards was whether Rick felt guilty benefitting from people’s misery as he captured photos of them. Rick answered honestly, saying that, although he understood the comment, he was drawing the world’s attention to areas which needed it, and that he would feel guilty if he was simply ‘papping’ celebrities and selling those images for far, far more money than he received for his photos of people suffering from war. 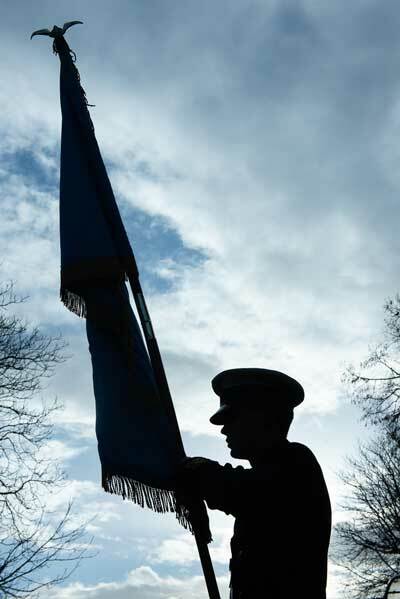 On November 11th, at a special 100th Anniversary Remembrance Service, Blue Coat’s CCF contingent, and members of the Blue Coat community, gathered in front of the cricket pavilion and at the School war memorial to lay wreaths and remember the Old Blues who have given their lives for their country. 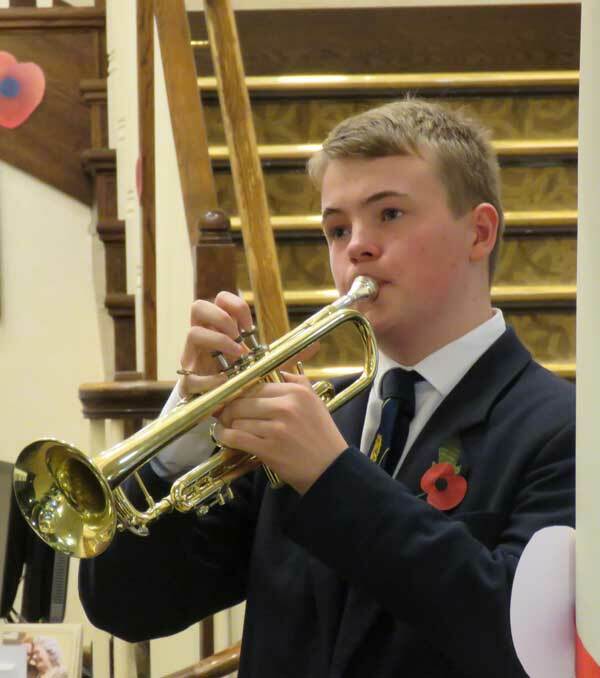 Year 10 trumpeters, Guy Barwell and Oscar-Mannering Smith, were honoured to play “The Last Post” and “Reveille” at special Remembrance services at Sonning CofE Primary School and Sunrise Care Home, respectively. Throughout the week, perspex symbols of the “unknown soldier” were displayed in prominent positions around the school. Finally, at the Grand Concert at the end of November, the RBCS Choir sang “In Flanders fields” as a fitting finale to Blue Coat’s Remembrance tributes. To hear the performance, click here. Students impress at Blue Coat’s first TEDx event An investigative report: What’s life like for a Year 7 at Blue Coat?